Any productive relationship between two nations must include mutual benefits for both. A proposed alliance that includes no incentive for a partner nation cannot otherwise move forward save for threats and coercion. The United States and its “pivot toward Asia” is an ongoing demonstration of this simple reality. The US seeks primacy over Asia-Pacific (now often called Indo-Pacific to reflect wider US aspirations) yet offers very little to prospective partners except costly confrontation with China and any other nation in the region or around the globe impeding American hegemony. 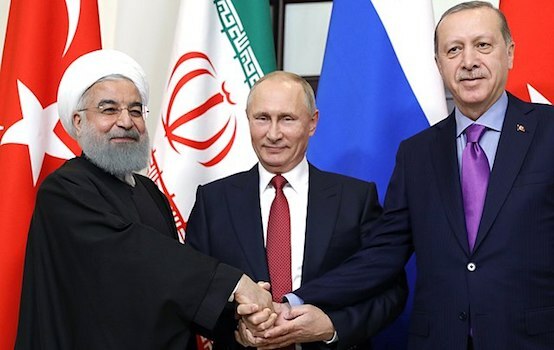 Lacking incentives, the US instead pursues coercion through a massive regional network of opposition groups, agitators and even militants seeking to destabilise and piecemeal replace existing political orders with those obedient and dependent on Washington. Western-leaning online magazine, The Diplomat, in an article written by Prashanth Parameswaran titled, “Strengthening the US-Thailand Alliance for an Indo-Pacific Future,” attempts to sell a US-Thai alliance, minus any actual reason for Thailand to take part in it and omitting the very real coercion the US uses to pressure Thailand to reduce partnerships with other nations actually producing tangible benefits. Is there really a US-Thailand Alliance Past or Present? Parameswaran cites the Cold War as the starting point for what he calls the “US-Thailand alliance.” However, it was an alliance Thailand was given little choice to join. The alternative was joining instead the list of Southeast Asian states being mercilessly bombed amid Washington’s ongoing war with Vietnam. The article fails to mention any significant, specific examples of US-Thai relations since its hosting of US troops decades ago. The article notes Thailand’s growing ties with China. These ties include the replacement of Thailand’s military inventory of aging US hardware with Chinese main battle tanks, armored personnel carriers, infantry fighting vehicles and even submarines. It also includes Thai-Chinese infrastructure projects such as high-speed railways that will connect Thailand to China via Laos and the purchase of rolling stock for existing and planned domestic mass transportation networks. 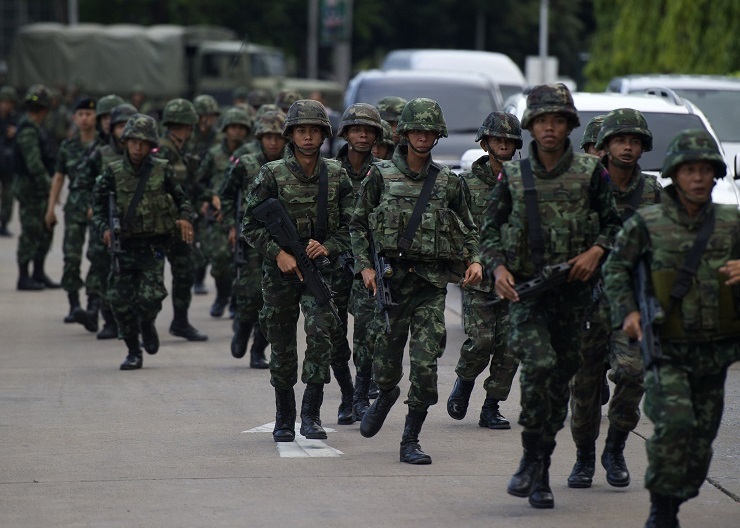 None of these necessities Thailand seeks are on offer by the US save for weapons, but at a substantially higher monetary and political price Bangkok has no motivation or reason to pay. Throughout the entirety of Parameswaran’s article, no tangible project or area of cooperation between Thailand and the US is mentioned. Instead, ambiguous and otherwise meaningless terms like “meetings,” “recalibrated ties” and “collaboration” are used in place where actual, tangible ties and specific projects should be listed and discussed. Thailand’s internal politics are also mentioned as a subject of “concern” for Washington, one area that is actually none of Washington’s business, but one in which Washington has invested deeply. This includes US meddling in Thailand’s upcoming elections in which Washington has funded myriad opposition groups and agitators to, in fact, undermine Thailand’s ruling political order and institutions including the nation’s military and revered constitutional monarchy. There is a clear confluence between the Trump administration’s much-needed effort to ramp up U.S. infrastructure and development assistance efforts to the region and Thailand’s seriousness in turning its long-held strategic location as a hub among Asia’s subregions into tangible economic benefits and better relations with its neighboring states. The question this raises is if the US itself lacks the sort of infrastructure Thailand seeks to build (and in already building said infrastructure with partners such as China and Japan) what actual confluence could there be between Washington’s nonexistent ability to assist development in Thailand and Thailand’s already ongoing efforts with capable partners to advance that development? 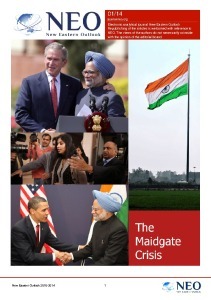 In essence, The Diplomat’s article, like so many others it publishes, is a promotional placement for the struggling US-led “Quad” alliance between the US itself, Australia, Japan and India. Parameswaran attempts to shoehorn Thailand into the alliance’s peripheries, an alliance its own “founding members” are attempting to wiggle out of specifically because of the confrontational posture the US seeks to give the Quad and the fact that Australia, Japan and India have more to gain by forging their own ties, relations and checks and balances vis-à-vis Beijing. What about a Future Alliance? A future US-Thailand alliance cannot be ruled out. Just as political and economic change inside China has brought the nation over to both Thailand’s good and bad sides over the centuries, it is very possible that a political order could take shape in Washington that actually offers Thailand options to diversify its economic, military and political ties forming the basis for a real and significant partnership. In many ways, the very real trade Thailand has with US already is one means of Bangkok diversifying its economic ties. Even the more meaningless “talks,” “recalibrated ties” and “collaboration” Thailand does engage with the US in are a way to leave the door open for a future check and balance against over-dependence on Beijing. For better US-Thai relations, the US would have to focus more on offering Thailand what it actually needs in terms of defence, development and economic progress. It would have to shift its disruptive and unwelcomed industrial-scale political meddling seeking to supplant Thailand’s political order and those of its ASEAN neighbours, toward projects and initiatives that resembled actual partnerships. There is never a shortage of demand for alternatives to diversify a nation’s ties, and nations around the globe, including China and Russia themselves, have attempted to leave the door open to the possibility of more constructive ties with the US. It is just a matter of an America truly seeking partnership rather than primacy to walk through that door.